Trisa Summers, President of TCI Wealth Advisers wanted to keep culture tight & allow company-wide perspective for every employee. The intranet made it happen. Business: An independent, fee-only financial advisory firm. Challenge: They needed to sustain their culture and knowledge sharing while growing rapidly and adding locations. Trisa Summers is the President of an employee-owned company with multiple offices across the Southwest. Their stock in trade is knowledge, integrity and trust - so it’s essential that those characteristics saturate their company culture and communications. She realized that as President, she could see what was going on across all of the offices. She wanted the rest of the team to benefit from that same cross-company perspective. 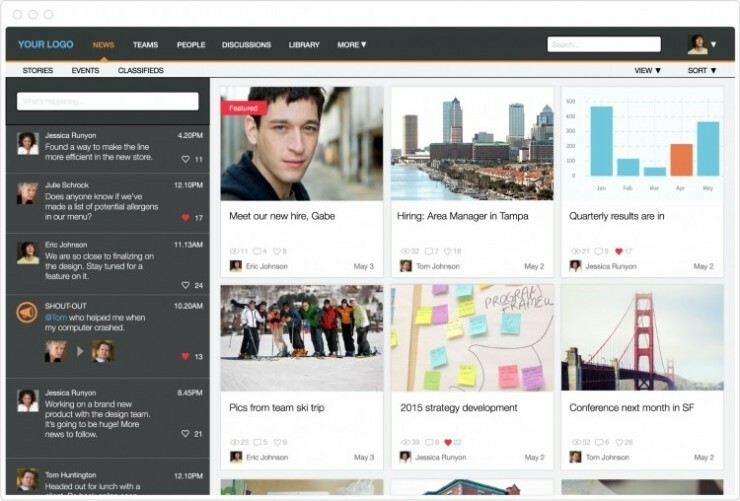 They were growing fast, and had no existing intranet in place. But their growth had brought lots of technology changes - and some had been pretty painful. Could they be successful with a new intranet at this tender time? Would people use it? “We just looked at some metrics and we have phenomenal adoption.” said Trisa. Phenomenal indeed -- in recent months they have seen each and every employee participate. Watch my interview with Trisa as she discusses what she’s doing to build an ever-stronger team as TCI Wealth Advisors helps ever-more customers succeed.